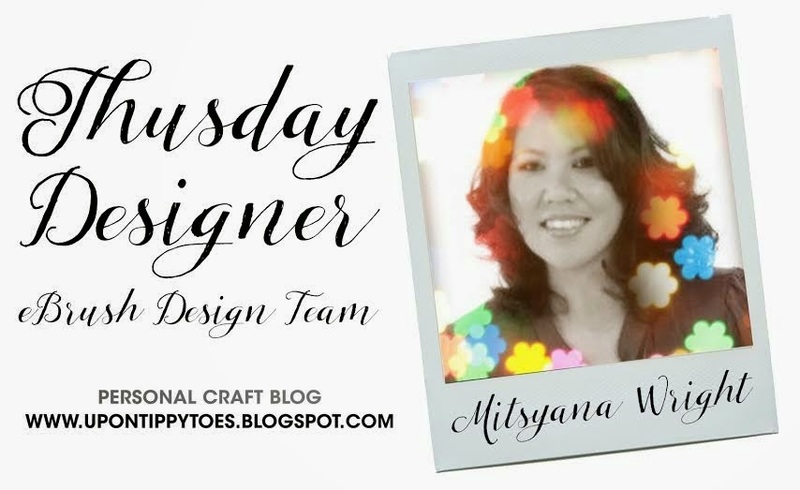 Hello Crafty Friends... Mitsy here with more inspirational goodness!! 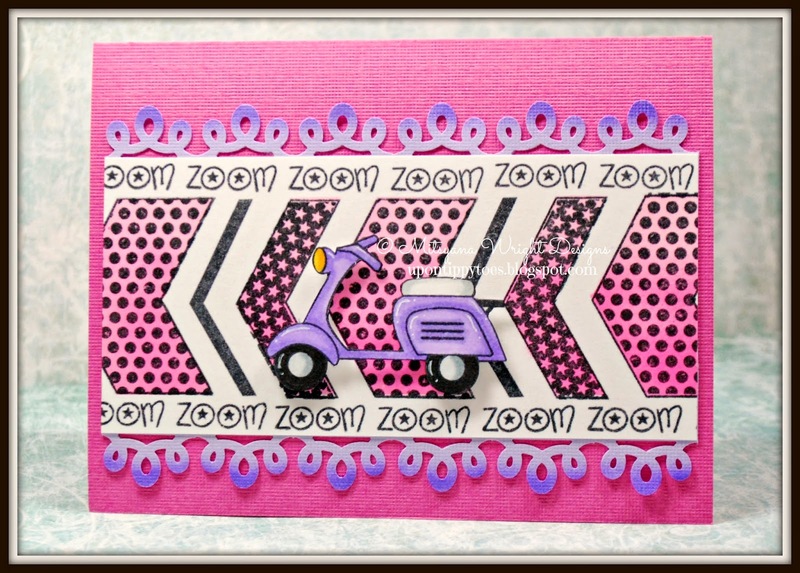 I created this adorable card using stamps from our wonderrful sponsor, Pink & Main!! 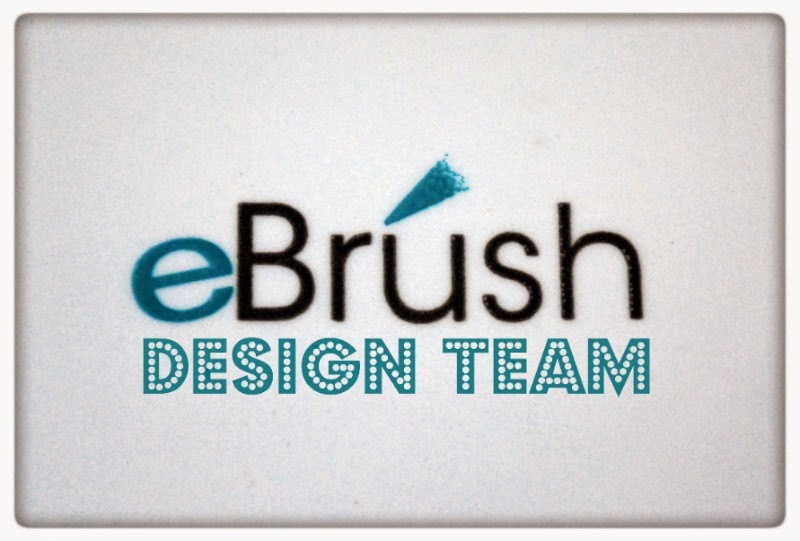 And pairing it with the versatility of my awesome eBrush!! 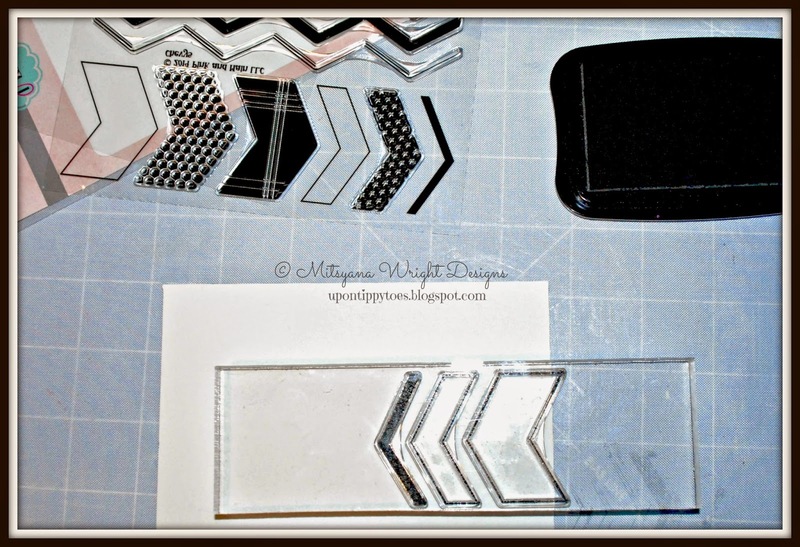 I started off by using my chevrons from Pink and Main's Chevys set, lining them up on an acrylic block and stamping it onto plain white cardstock with my Momento Tuxedo Black ink... this is important... because I'm going to be using alcohol ink based markers I don't want my stamped image to run or bleed. 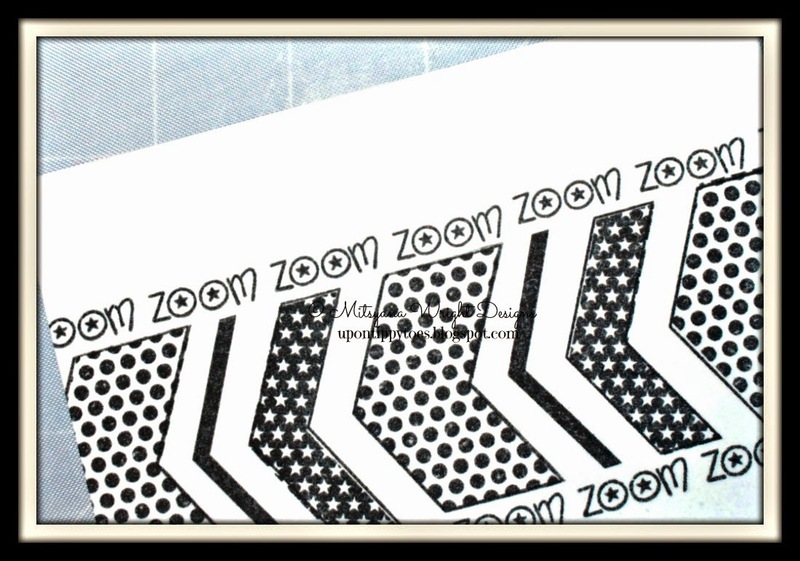 The Chevys set includes patterned inserts for each chevron and because they are clear stamps, alignment is a breeze! 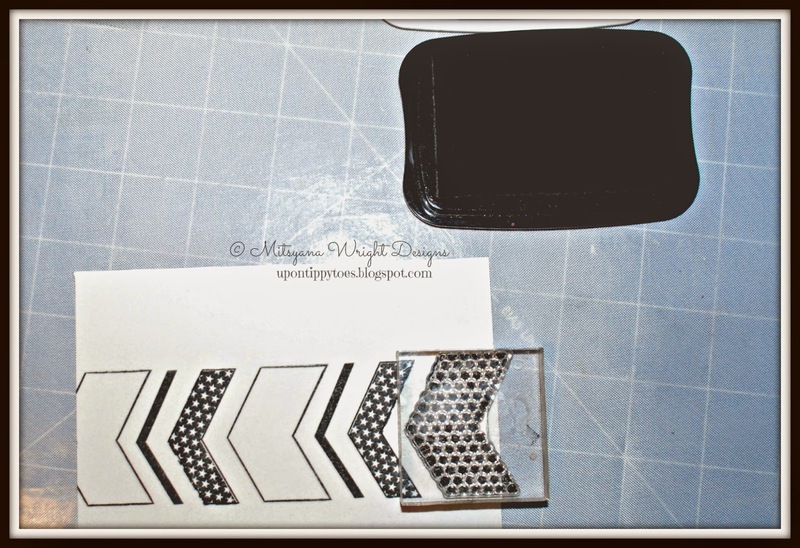 Then, I used one of my sentiment stamps, included in the set, as a border stamp. Exposing just the chevrons, I taped of the surrounding areas. I used Spectrum Noirs in PP1 and PP2. Remember I used plain white cardstock for the base and if I were to just color the chevrons they would have bled through the lines. By eBrushing it, it dries on contact. The results... the color blending of alcohol markers with out the dry time or the extra cost of buying the more expensive specialty paper. 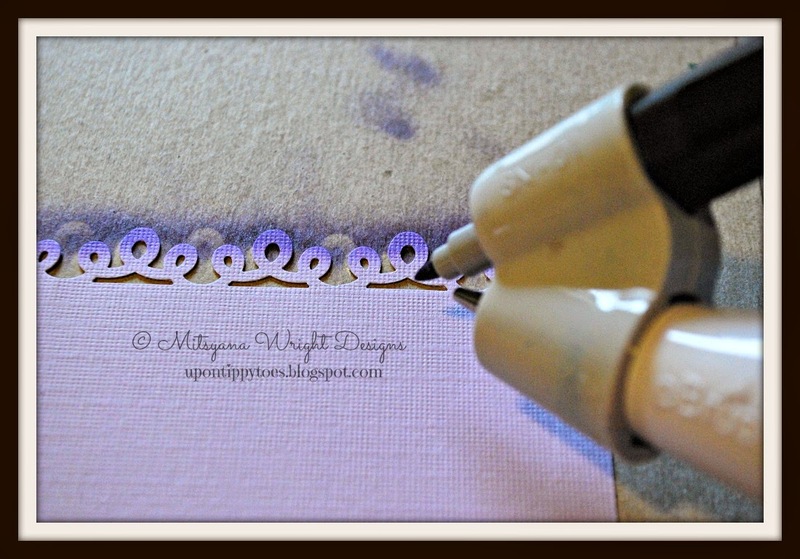 I then made a border edge using my MS Ribbon Loop Punch out of lavender cardstock. I eBrushed the edges for depth. I don't know about you , but have you ever tried inking delicate edged paper? Not only can you NOT get into all those teeny tiny crevices but if you do attempt it you end up mangling the pieces and maybe even ripping them off ( like I do) and end up trashing it and wasting your paper. Not fun at all... makes me pretty upset actually. 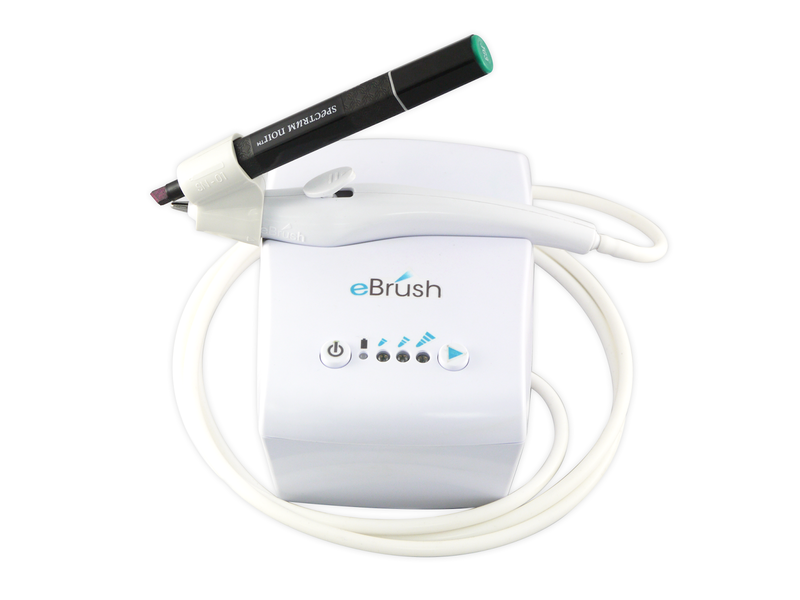 But with the eBrush I have no problem with those "itty-bitties" and even inverted corners are a breeze!! 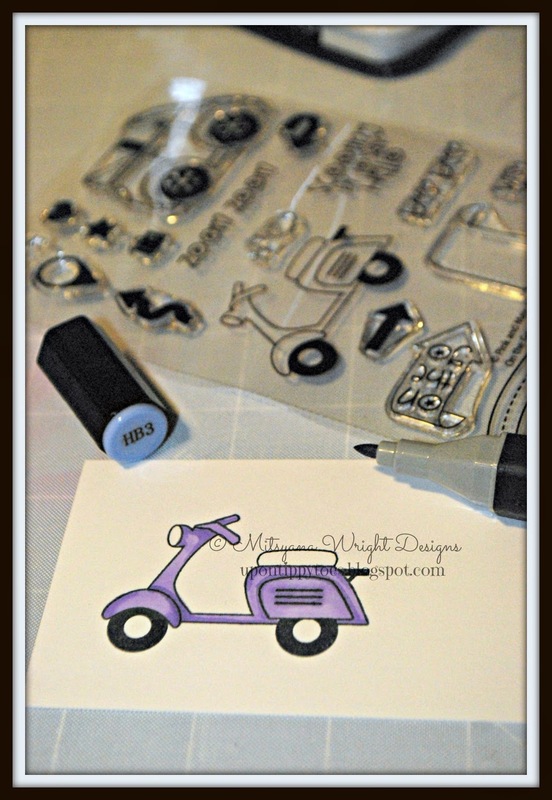 Finally, I stamped this cute little scooter form the On the Go set and colored in using my Spectrum Noirs in (CT2, GB5, IG1, IG3, IG4, HB2, and HB3). 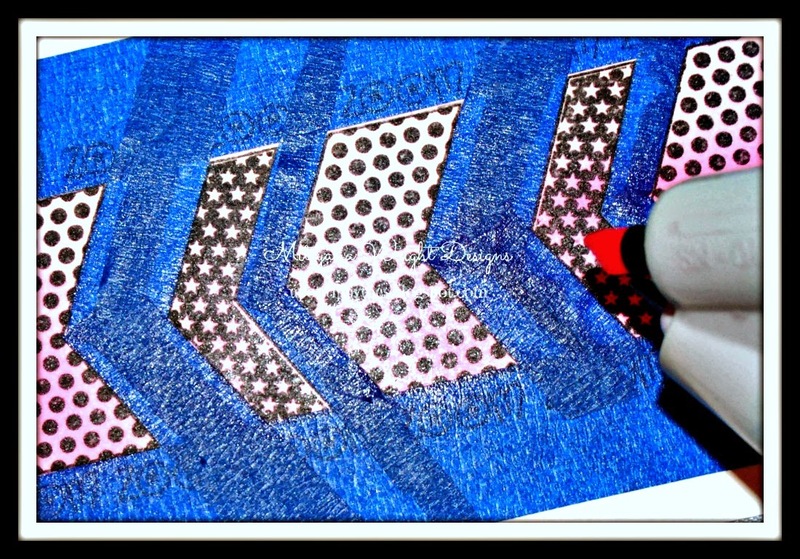 With this image I didn't have to worry if my color went outside of the lines because I was going to cut it out any way. And I made my sentiment on the inside match the front of the card just bey adding more eBrushed borders!! How stinkin' cute is that?!! Hope you all enjoyed my project for today! Come back and visit us soon!